Apple Pay has begun rolling out across Switzerland, allowing consumers to make in-store and in-app payments using their compatible devices. The mobile payment service launches with support from MasterCard and Visa as well as card issuers Bonus Card, Cornercard and Swiss Bankers. 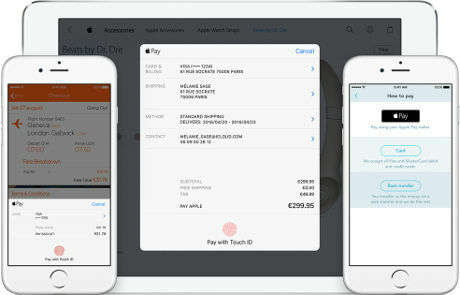 Retailers Aldi, Avec, C&A, K Kiosk, Mobile Zone, P&B, Spar and TopCC are listed as supporting Apple Pay at launch, while supermarket giant Lidl plans to integrate support for the mobile payment service “soon”. Apple Pay is available for in-store purchases on the iPhone 6S, iPhone 6S Plus, iPhone 6, iPhone 6 Plus and the iPhone SE as well as the Apple Watch. It will also work on iPad, iPad Pro, iPad Air 2, iPad Mini 4 and the iPad Mini 3 for in-app purchases. The company announced its plans to launch Apple Pay in Switzerland, France and Hong Kong at WWDC in June 2016. The service will also be made available for online payments.